“Timber” Bestseller Robert Hanlon Explains Why It Was Worth Wading Through Those Lean, Hard Days Before Success Hit His Novels! It’s been several months since Robert Hanlon sat down for an interview. This one was conducted on Thursday, 10th January. Hanlon, an older gentleman with a style of writing readers now seem to love, has just finished working on the ninth Timber novel, with the eighth released to the reading public last week. Robert Hanlon has been one of the top selling Western authors for months now, but in this interview, he talks about the time before he was a success—back when he was writing and praying that readers would pick up his books. Let’s see what “Bob,” as he likes folks to call him, has to say. Before we start though. You can download your copy of his latest “Timber” book by clicking here. Thank you for agreeing to this interview, Bob. Bob, let me ask you—how does it feel to have had such success in 2018 with your Timber series? Well, early on, I learned to take the rough with the smooth. It’s all very well and good to crow about the great success you are currently having, but what about the lean years that came before? I have had a few years of success with books, but it took time and concentration to get to that stage. I still remember when I wasn’t selling all that hot. It wasn’t fun, but it prepared me for the success I’m having now. There was a time before you were selling well? Yes, absolutely! My first sixteen Westerns were all duds. Complete flops. Then came a few hits followed by the Timber series which, of course, sold the back catalogue. All those books readers didn’t want to read years ago suddenly got read. So, what would your advice be to Western authors who aren’t selling all that well? Hang on and wait your turn. Sometimes it takes a certain book to make the whole bonfire go up in flames. For example, the first book in the Timber series took about three months to take off. During that time, I was wondering if readers would ever see value in the work I was doing. Then, all of a sudden, we released number two, and WHAM, it’s a smash! Eight books later, I have been blessed with the great success that only faith and consistency can bring. Well, I’d had a few minor successes with books like “Texas Gunfighter” and stuff like that. But it was hit and miss. My publicist outlined a series—a full series with this character Timber. Timber would go from place to place killing and cleaning up crime-ridden towns. He outlined four, and we are now at number eight. Each one has been a smash hit. What do you think made the series such a success? Promotion to get folks looking at the cover, I’d say. Then good, easy-to-read writing to get them reading what’s between the front cover and back cover. Plenty of action to keep people motivated to read on. Nothing political—everything entertainment. There are too many political Westerns in my humble opinion. So, you planned a series that was easy to read? Pretty much. It’s a simplistic series filled with entertainment. The writing isn’t simple—I just mean to say that the series IS what it says it is: a gunfighter with conviction who cleans up the crime-ridden towns of the Old West. 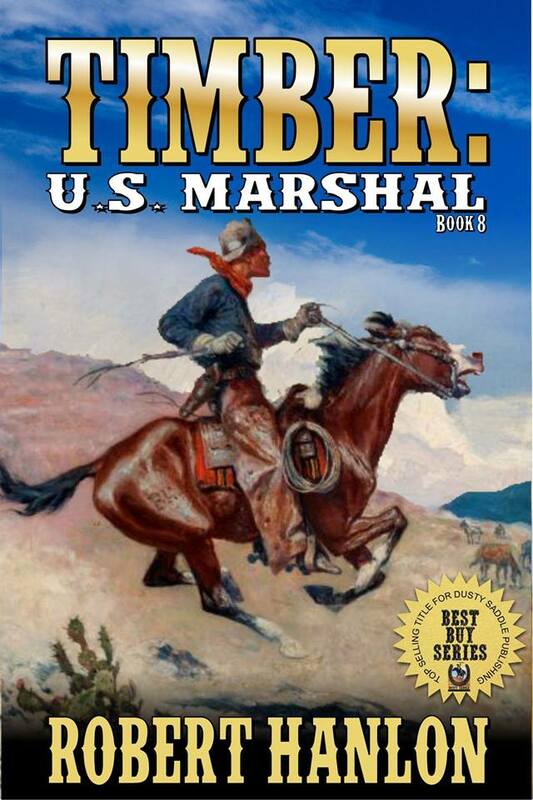 Do you think a story like Timber would translate to readers outside of the Western genre? Absolutely. That’s what we hope to do with the movie. We want to reach readers who don’t even know they like Westerns. We want people to sit down and read for entertainment. There’s nothing heavy or philosophical about Timber. He’s just a man who has a conviction to fight crime. This storyline isn’t far off some of the great TV shows of today. But it will take the means of a movie to truly convey this to that wider segment of the public. Interesting. What happens in the eighth Timber novel? Basically, Timber ends up in Peerless and decides to clean the place up. My hope is that they get a kick out of it during these dreary winter months. It can be hard to get out of bed when you wake up to a sky as dark as the one you went to sleep with. Hopefully this book will give them a bit of an adrenaline boost—a kick up the rear end to go out with a smile on their face and conviction in their heart. (laughs) You are something of a recluse. How do you spend your days? You’re going to give people the wrong impression. I’m not a recluse—not like dear Howard, anyway. [referring to Howard Hughes] I don’t have tissue boxes covering my gigantic toenails. I’m just not interested in email, social media or any of that junk. I don’t really want to deal with it all. I did my years of work, and that was enough for me. Now I like to fish, sit on my porch and enjoy a few cigars while I write about the Old West. Nothing more than that. It’s an easy life for someone who was never all that social anyway. Before I let you go—what would your advice be to a new Western author? Don’t enter this business with any preconceived notions. I thought my first book would be a major seller. It wasn’t. It took a series of books, over time, to make me a success even with publicity. Once you become a success, don’t expect it to continue forever. I’ve had fleeting moments of success before Timber but those vanished. I didn’t get depressed; I didn’t kill myself; and I didn’t quit. I just wrote another book. Financial reward is wonderful, but don’t expect those big checks to keep coming in. Keep writing and keep aiming for the highs while overcoming the lows. As for writing—write whatever the heck you want to write—and be sure to use an editor. Lordy, did I learn that using an editor, listening to the editor and making sure to write books readers could actually read was as vital as the writing itself. Thank you for your time, Bob. I’m sure many readers will find this interview of value. I sure hope so! Thank you for giving me a call and asking me about my books.